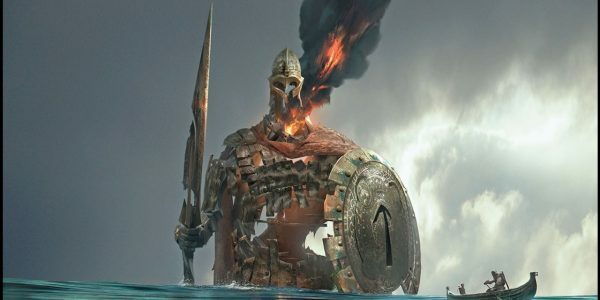 Santa Monica Studio’s latest entry in the God of War series was a visually stunning game. The studio’s take on Norse mythology set Kratos’ new chapter in a rugged Scandinavian wilderness, filled with Norse iconography and ancient ruins. While the game received universal acclaim for its story, most reviewers also praised the game’s graphics and art direction. Now, an art studio known for their video game prints has released a series of six prints featuring concept art from God of War. The Cook & Becker studio has made a name for itself offering professional “fine art prints” of video game artwork; billing themselves as “Next-Gen Art Dealers”. 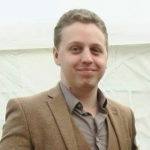 Their past series have included games such as Skyrim and Fallout, and one particularly colossal art-book for Final Fantasy XV. The studio’s new God of War series consists of six prints featuring Kratos and Atreus, the game’s protagonists. All six pieces of artwork were provided to the art studio by Santa Monica Studios, and were originally produced as concept art for the game. 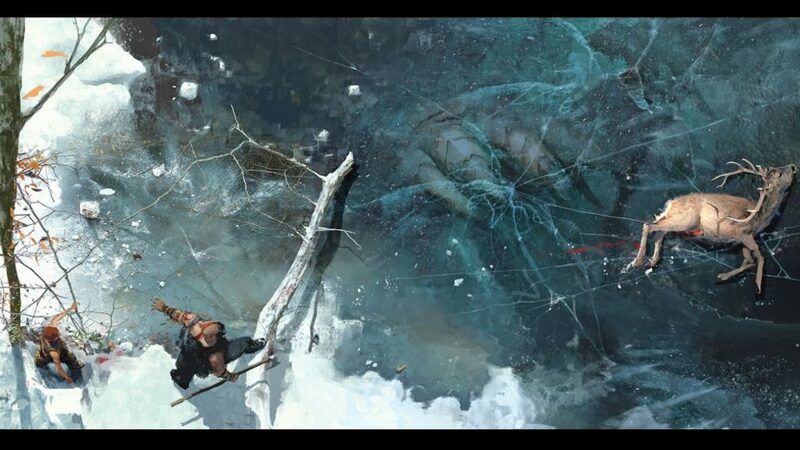 The artwork is some of the earliest concept art created for God of War; the work of José Cabrera, a Spanish concept artist who created the “A New Beginning,” “First Norse Concept,” “Kratos and Atreus,” “Treacherous Ice,” and “World Serpent” paintings. The sixth piece; the “Týr” print, was the work of a senior concept artist by the name of Abe Taraky. That piece is notable for being the only work painted on a portrait canvas; the rest are all oriented as landscapes. Cook & Becker list each of the six pieces of artwork along with detailed descriptions of their background and merit as art pieces. The prints are available at prices starting from $69.00 to $99.00, respectively. However, the larger, framed prints can cost upward of several hundred dollars. You can browse the new Cook & Becker selection here.